Enjoy Drink Specials, NO DOOR FEE, and LOTS of LAUGHS! Bring your friends and enjoy a great night out MID-WEEK! Ever wonder where all this great comedy comes from? 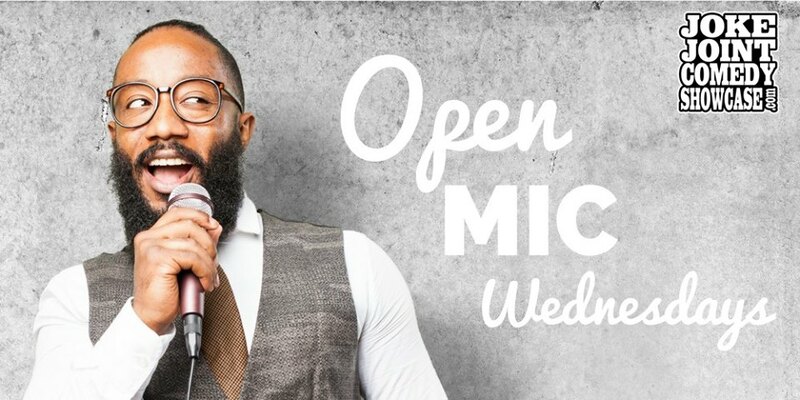 It starts at Open Mic Night shows, where comedians, new and old, come to work on new material, try a new tag line, or to test a different delivery style. All the great comedians started at shows like this. And you can be a part of the process, for FREE. The show starts at 8:00. You may see someone get on stage for the very first time. And you'll see several local and nationally-touring comedians too. It's a blast of a show at a great price...FREE...and DRINK SPECIALS TOO! Do YOU want to perform at Open Mic? Click here if you think you've got what it takes.